A student profile from the Plymouth University Peninsula School of Dentistry. 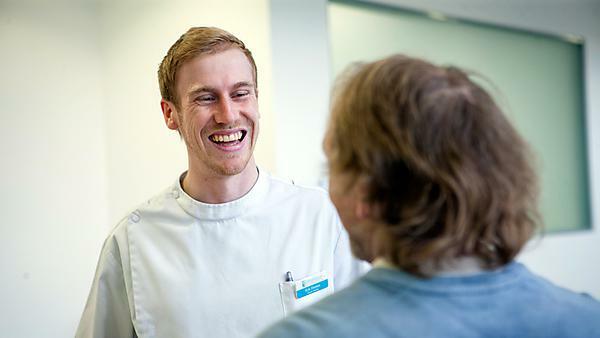 "Studying dentistry at Plymouth has been, for me, inspiring, challenging and fun. I have enjoyed the entirety of my time here and am delighted to recommend it to prospective students. I’ve found the course engaging and have really benefited from the contemporary approach to learning. From patient based EBL case studies to specialist care visits in A&E, the course will teach you to take an intuitive, holistic approach to patient care. With the clinics being placed in Plymouth, Truro and Exeter, we see patients with a range of dental needs and I have found this extremely interesting and beneficial. The staff throughout the school are fantastic; approachable and very knowledgeable. As students, we benefit from an enthusiastic teaching staff with wide-ranging clinical and academic backgrounds. Plymouth itself is a wonderfully varied city, with plentiful entertainment to suit all tastes! Personally, I love the seafood restaurants on the Barbican marina and surfing spots dotted along the coastline, but there are a pubs, theatres, shops, restaurants and watersports to suit even the most eclectic of personalities. Given the opportunity again, I would definitely choose Plymouth to study dentistry."